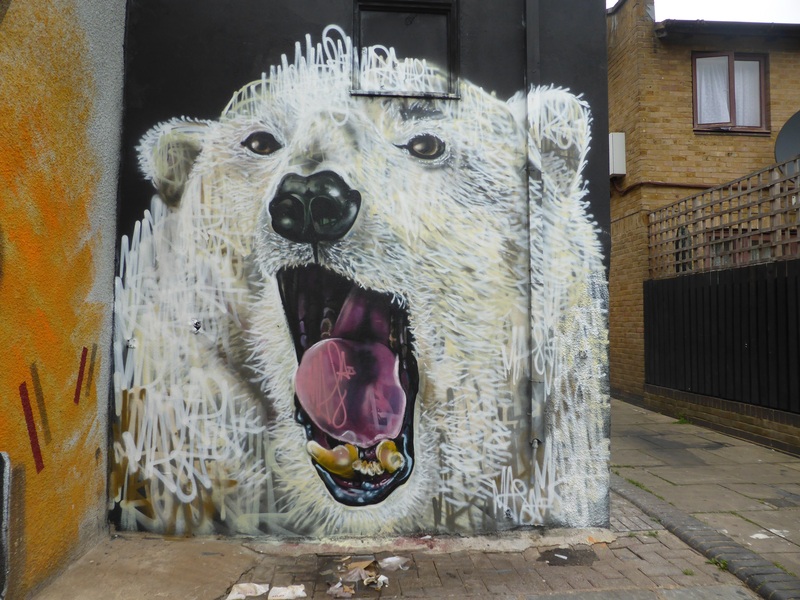 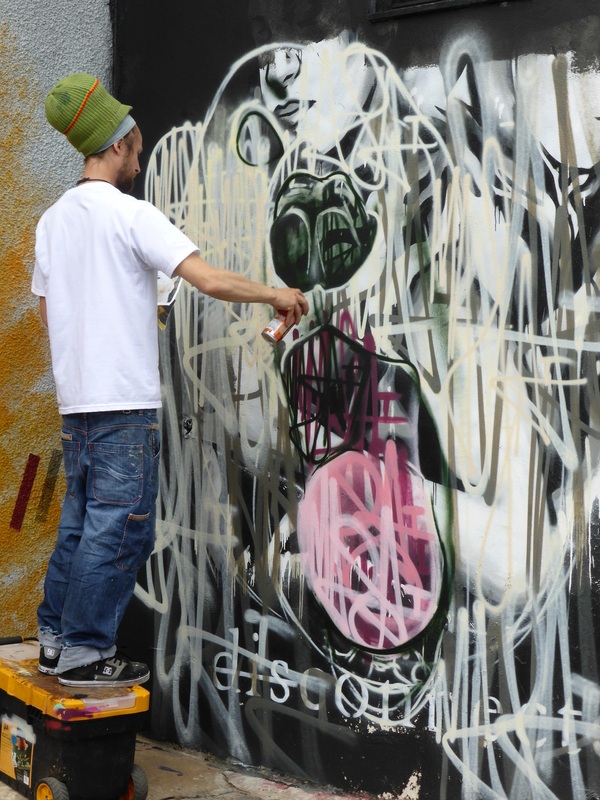 Well Camden Town has certainly been the place to be this week, were over the course of Wednesday and Thursday, a stunning set of works were put up by Elno, SpZero76, Trust Icon and Louis Masai. 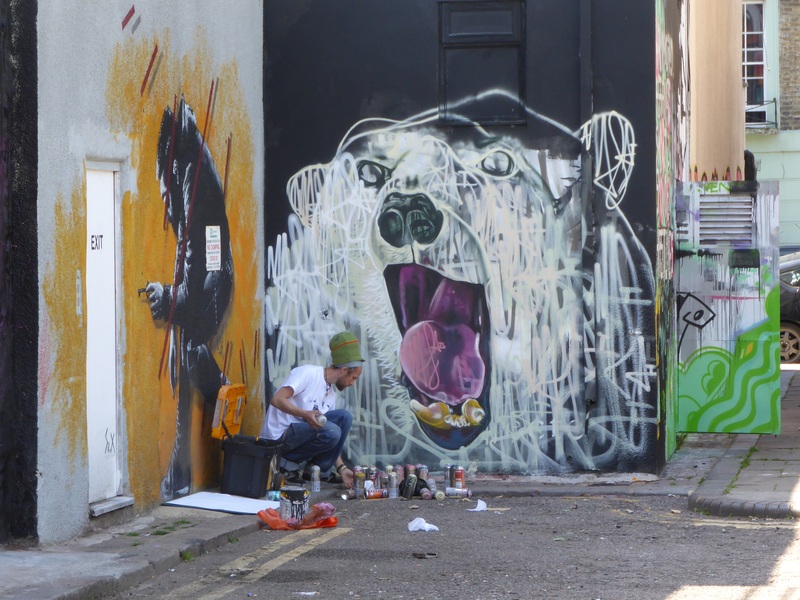 So we were delighted to get the chance to catch Louis Masai at work on his latest work, a Polar Bear, put up with support from The Real Art of Street Art. 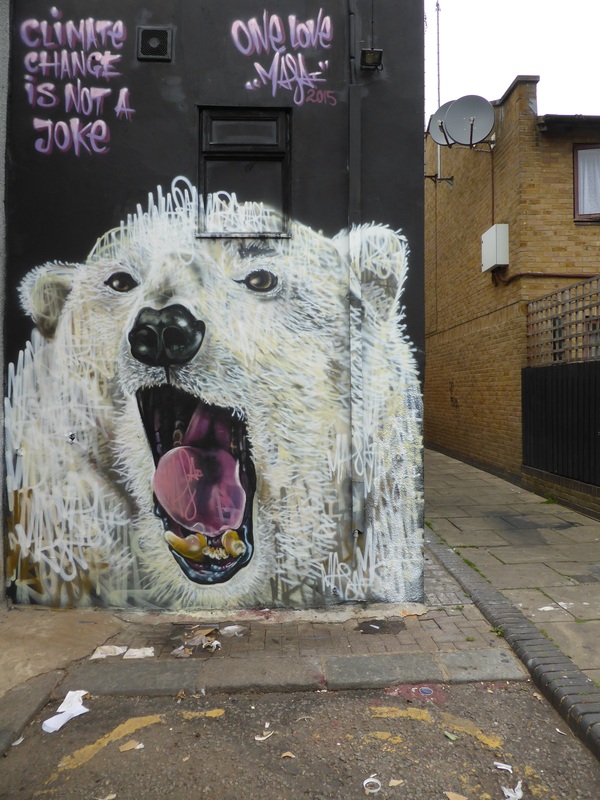 The work entitled ‘Climate Change Is Not A Joke‘, was based on a T-shirt design Louis Masai produced for the Clime-it Brothers Ltd, who operate out of Camden Stables Market, who work under the ethos of encouraging and teaching young people to reflect upon themselves and the environment surrounding them. 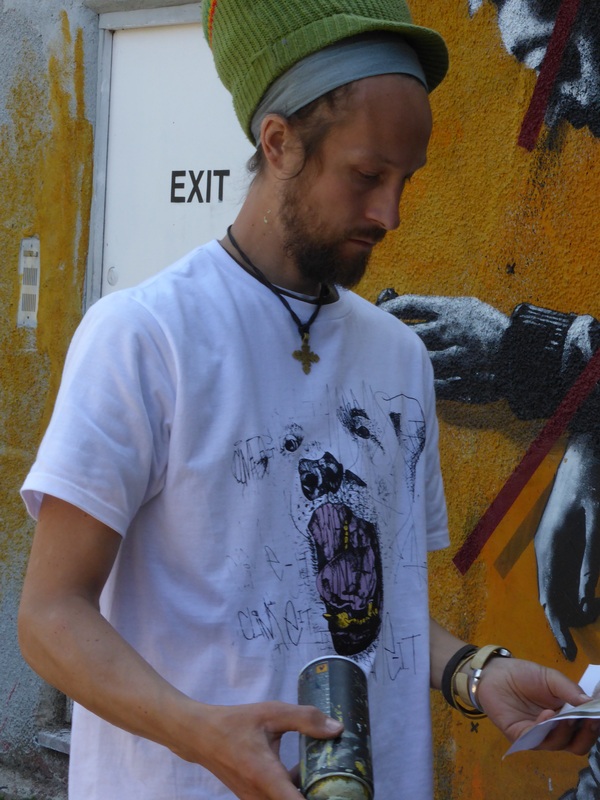 Through the graphics of their brand, they have developed a stylish way to raise awareness for their causes, with T- Shirts made from preshrunk 100% organic cotton, and a third of all profits going into local workshops. 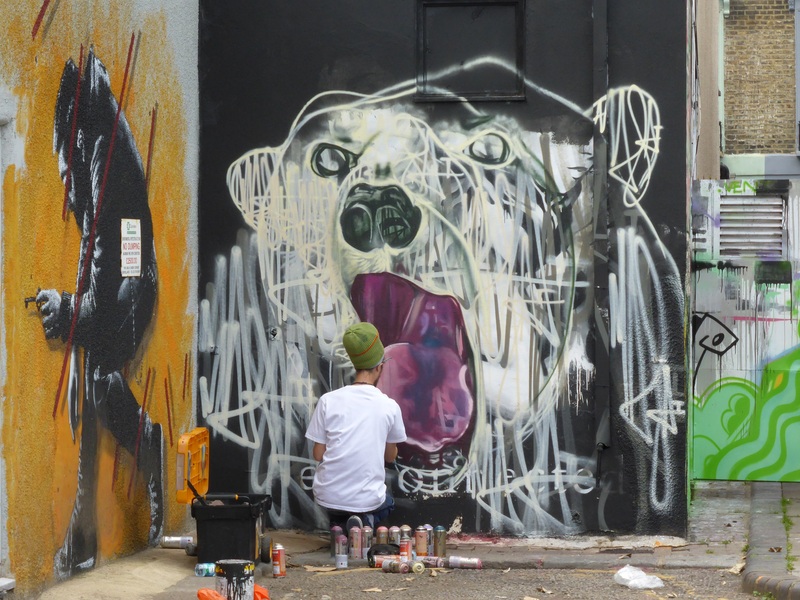 So it’s no wonder Louis Masai was behind the cause and took the opportunity to help promote a cause near and dear to his heart and at the centre of his artistic output and message. 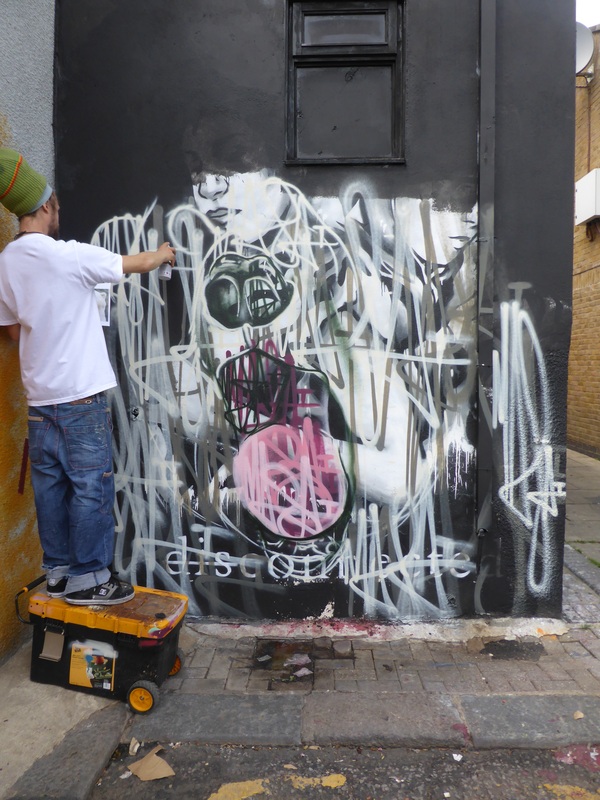 Louis Masai laying out his ‘Masai’ tag foundation. 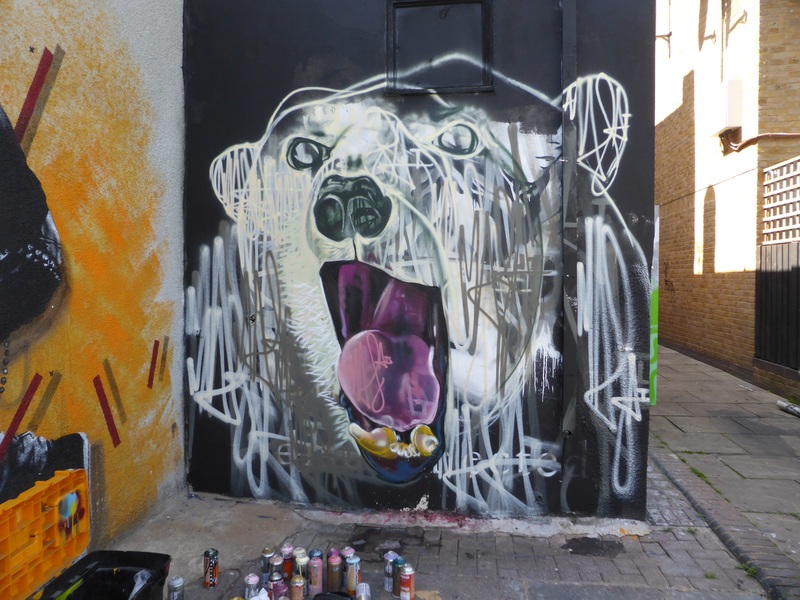 Louis Masai sporting the image that was the basis for this piece. 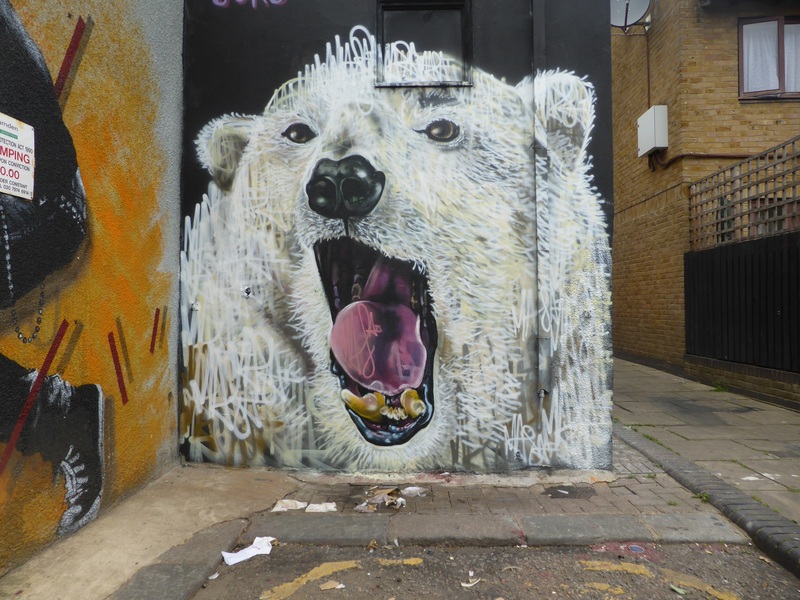 The superb finished piece, it’s great how you can see the text blended in with thte texture of the bears fur.